Friday Gameday: UND Looks to Make 2017 Great... Again? from wrist surgery, netting two goals in his first action since November 19th. Photo: Megan Farmer/The World-Herald. It's 2017 and change is abound. DDC is no longer a 20-something, the United States is about to inaugurate a new president, baby DDC No. 2 is less than two months away from entering this crazy world and after an up-and-down start of the season, the UND men's hockey team seems to be turning the corner. After a New Years Eve 3-1 victory over Union in Upstate New York, North Dakota traveled to Omaha and brought two big guns with them. UND got back Brock Boeser from wrist surgery and Tyson Jost from a silver medal performance for Team Canada in the World Junior Championship tournament and their impacts were felt immediately. Boeser scored twice on Friday and then netted another and assisted twice on Saturday for a five-point weekend. Jost on Friday, having almost no sleep on the heels the gold medal game in the WJC in Montreal the night before, scored and added an assist. Then on Saturday, playing his fourth game in four days and fifth in six days, potted two goals for a crazy, four point weekend. at UNO (3 goals, 1 assist). Think about this for a second ... UND rolled the Mavericks, a Team Under Consideration in the PairWise rankings and a conference foe in Omaha with two blowout victories (9-1, 7-3), potting 16 goals, their most on a weekend since the 2010-11 season. North Dakota has now won three-in-a-row and five of their last six games. As the college hockey world saw these developments, a loud "uh oh" could be plainly heard. The Green and White may have found their mojo. With their lineup back to form, No. 7 UND welcomes the Miami RedHawks to the Ralph Engelstad Arena this weekend for an important National Collegiate Hockey Conference series that sees Miami also on the uptick. After a rough 0-7-2 streak, the RedHawks have heated up, winning four straight games and going unbeaten in their last five. That includes a sweep at home against SCSU, 3-2 (OT) and 4-1 last weekend. After their huge sweep on the road, UND is now third in the NCHC and looking to cement their place as the second half gets rolling. Miami is 6th and a good showing in Grand Forks would certainly vault them into 2017.
Who will continue their New Year hot start? Here's what to watch for as Miami faces off with the Green and White in DDC's first "Who? What? How?" series preview of 2017. Sr. F, Anthony Louis, 11 goals, 14 assists -- 25 points; So. F, Kiefer Sherwood, 10g, 13a -- 23 pts; So. F, Josh Melnick, 6g, 11a -- 17 pts; Fr. F, Carson Meyer, 5g, 12a -- 17 pts; Jr. D, Louie Belpedio, 3g, 6a -- 9 pts; Fr. G, Ryan Larkin, 6-6-5, 2.48 goals against average, .914 save percentage. So. F, Shane Gersich, 15g, 13a -- 28 pts (3rd in the NCAA in goals); Fr. 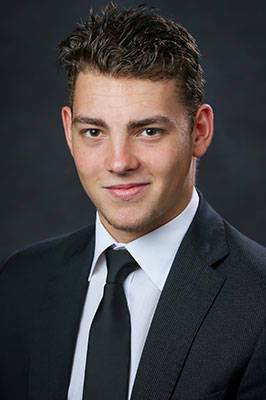 F, Tyson Jost, 10g, 12a -- 22 pts (T-2 in NCAA in rookie goals and 6th in rookie points/game); So. 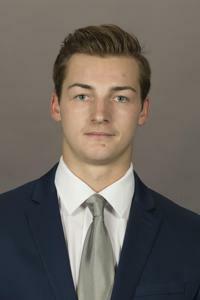 F, Brock Boeser, 10g, 11a -- 21 pts; Jr. D, Tucker Poolman, 4g, 14a -- 18 pts; Jr. F, Austin Poganski, 7g, 10a -- 17 pts; Jr. G, Cam Johnson, 12-6-3, 2.08 GAA, .916 SV PCT. The Redhawks lead the NCHC on the penalty kill and is 13th in the nation with a 85.3% mark. Miami has struggled offensively, at times, this season, averaging just 2.6 goals per game which is T-40th in the NCAA. However, they've scored at a 3.4 goals per game clip during their current five-game unbeaten streak. Freshman forward Carson Meyer ranks sixth in the NCAA in rookie points per game at 1.06 (5 goals, 12 assists in 16 games). UND is 9th in the country in goals against, allowing just 2.19 goals per game and are T-9 in goals scored with a 3.52 per game average. The Green and White's 16-goal outburst last weekend in Omaha was their most in a series since they scored 17 to close out the 2010-11 season at Michigan Tech. Sophomore forward Shane Gersich is tied with Omaha's Austin Ortega for the NCHC goal lead with 15 and is tied for 3rd nationally. Freshman forward Tyson Jost leads the NCHC and is sixth nationally with a 63% faceoff win mark. Miami (PWR: 28, 7-8-5; 3-4-3-1 – 13 points, 5th in NCHC) swept SCSU at home 3-2 in OT and 4-1. The Redhawks are unbeaten in their last five games (4-0-1). No. 7 UND (PWR: 7, 12-6-3; 5-4-1-1 – 17 points, 3rd in NCHC) swept UNO last weekend in Omaha, drubbing the Mavericks 9-1 and 7-3. The Green and White have won five of their past six. The last time Miami traveled to Grand Forks, the REA faithful were treated to one of the most memorable goals ever scored in UND history. It will forever be known by DDC and many others as "The Tic-Tic-Tic-Tac-Toe" goal. This will be a goal that all UND fans will remember as the seminal play of the Green and White's 8th national champion season in 2015-16. While this goal means nothing in terms of this weekend, DDC just had to bring it up. Sorry, Miami fans. Ok, so with that, on to The Pick. Both teams are playing much better of late, but DDC can't shake off what he saw last weekend as UND destroyed Omaha. While 16 goals will more than likely not be repeated, that series showed the college hockey world that the Green and White are ready for a serious run at defending their crown. The return of Boeser and Jost to the lineup has given UND a huge shot in the arm and has evened out their scoring attack. Shane Gersich is having a monster year and leads the NCHC in goals and is third in the NCAA with 15. With Jost and Boeser on separate lines, UND is 4-0, outscoring their opponents by a ridiculous 23-4 margin while going an equally ridiculous 9-for-20 on the power play. Couple these points with a defense allowing just 2.19 goals per game, the 9th-best mark in the NCAA, UND is turning up their performance. DDC sees the Green and White sweeping the RedHawks to keep their 2017 going in the right direction. UND SWEEPS AND OFFICIALLY RINGS IN THE NEW YEAR, 5-2, 4-3. There's The Pick. Check back next week to see if North Dakota kept it rolling. Thanks for reading! Labels: Brock Boeser, Carson Meyer, college hockey, Miami, NCHC, Shane Gersich, Tyson Jost, UND men's hockey, Who? What? How?